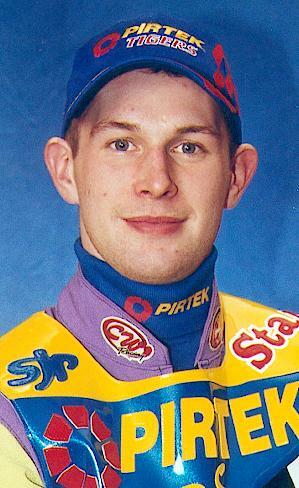 Ricky doubled up for the Peterborough Panthers in the Elite League in 2004, and 2005 saw him riding for both Sheffield and the Poole Pirates. 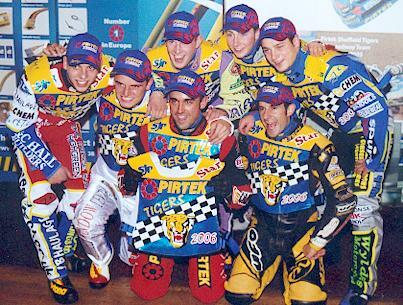 Ricky is concentrating solely on the Tigers in 2006 and has taken on the No.1 race jacket. Early form has been good with some useful away performances, especially considering his new riding position. Ricky qualified for the British Final with a solid 9 point return at Rye House which hasn't recently been one of his favourite tracks. The British Final was a disaster though with a 2 minute exclusion and two engine failures, although he did claim the scalp of home favourite Simon Stead when he won heat 12! Ricky won the 'Top Gun' individual meeting at Poole in July with 14 points, beaten only once by Chris Kerr. 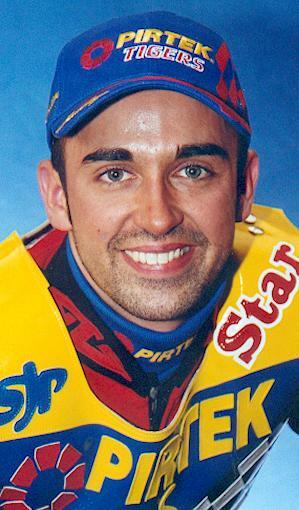 Following Sean Wilson's injury in 2004 André assumed the skippers role and his form led to him being re-called to double-up for the Elite League Poole Pirates. On the World Championship scene he finished 3rd in the British Qualifying round at Kings Lynn with 12 points, and then 7 in the final. André won the controversial Premier League Rider's Championship passing the unbeaten Simon Stead in the final before they both fell with André suffering injuries to both hands and wrists which brought his season to an untimely end. André takes over from Sean as captain of the Tigers in 2006 and has started the season in fine style. His leadership has generated a great spirit in the pits and has inspired the team to a tremendous start to the league campaign with wins at Somerset, Berwick, the Isle of Wight, Workington and Mildenhall. André tore the ligaments from his collar-bone riding for Vargarna in Sweden just before the Premier Trophy final and will be out of action for several weeks. Benji is the younger brother of our captain André and so they join a long list of brothers who have ridden together for the Tigers. Allott, Carr, Collins, Glover, Jay and Williams are just some of the names which spring to mind but Tigers fans will be happy if they can emulate the success of the Moran brothers! Benji was a member of the Buxton 'Hitmen' in 2004, and the Scunthorpe 'Scorpions' in 2005. He also made three appearances for the Tigers in 2005, away at Newcastle and home against Berwick and King's Lynn. Benji made a dream home debut winning first time out, and almost unbelievably scored his first paid maximum the following week in the Premier Trophy match against Newcastle. Benji has taken a few knocks recently, the latest being in the home match against Newport in the Knockout Cup when he aggravated his knee injury. A winter of convalescing, physiotherapy and practice spins at Scunthorpe see Paul raring to go again in 2006 albeit wearing a specialist brace to protect his injured left knee. Paul was instrumental in our away win at Redcar as his grass track experience stood him in good stead on the unpredictable track, but his home form is causing some concern as he struggles to find sufficient power from his engines. A recent switch of engine tuner seems to have had the desired effect and with Michael Lee's help Paul top scored against the Isle of Wight with a magnificent paid 17. Paul joined Conference League team Scunthorpe Scorpions as cover for the injured Wayne Carter on the eve of the Conference League Best-Pairs meeting. Riding with Sheffield team-mate Benji Compton as the Scunthorpe 'B' pairing they raced to victory beating the Stoke pair of Ben Barker and Adam Allott in the final after Ben Barker fell. 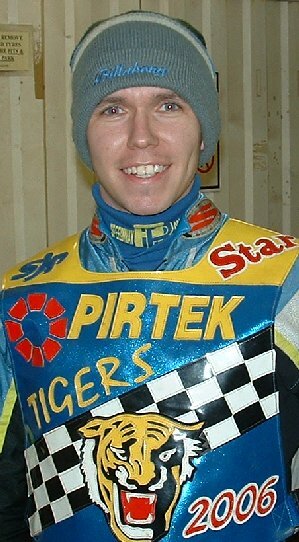 Kyle joined the Tigers in 2005 and became the only Canadian riding in Britain, and the first since Shawn Venables. Kyle was twice Canadian Champion before joining the Tigers. 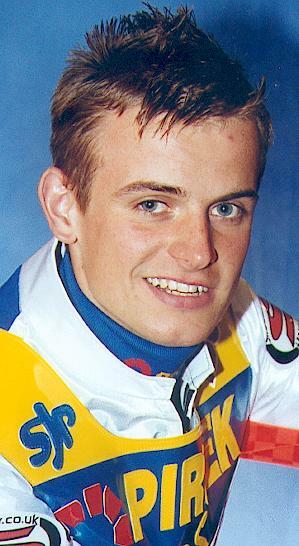 He rode in the qualifying round of the World Under 21 championship at Poole in May 2003, scoring just 3 points on that occasion finding that the Europeans had been riding for 2 months already whereas the Canadian season hadn't yet started. Kyle took a few weeks to settle in but claimed his first ever Premier League win in heat two at Edinburgh. The following home match against Newcastle saw him come agonizingly close to his first paid maximum with two glorious heat wins under his belt. In his last ride against Workington at Derwent Park he took a nasty tumble into the fence after the race had finished and broke a bone in his foot. He had surgery to repair the damage and was told to rest until August, but was back in the saddle in June scoring 7 points in the away fixture at Reading. 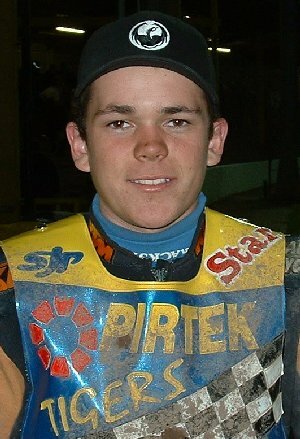 Kyle was the first rider to be offered a Sheffield team place for 2006 before he returned home last November. Kyle recorded his first maximum in the Premier Trophy match against Newcastle although he has yet to really impress in the away matches. His first step on this years World U21 championship trail saw him crash out on his home strip following an exclusion and an engine failure. Kyle was in the wars again taking a terrible looking tumble in the final heat of the home league match against Stoke. Having passed Robbie Kessler to put the Tigers in a winning position he went chasing Mark Lemon only to clip the fence exiting the fourth turn and eventually finished falling on the entrance to turn one! Another case of going for personal glory instead of riding for the team. 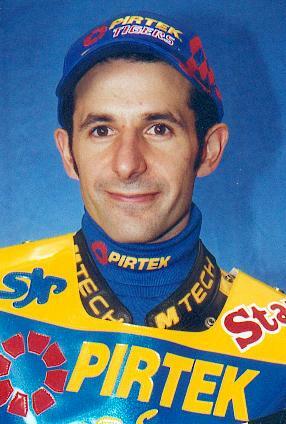 Argentinean Emiliano Sanchez joined the Glasgow Tigers when he first came to ride in this country in 1999. After spending two seasons with Trelawny he linked up with Hull where he was a vital member of the Vikings championship winning side in 2004. He became an asset of the Sheffield promotion when he was purchased along with his ex-Hull team mates following the Vikings demise. He is the only one to be offered a place in the Tigers team and it is hoped that he will soon learn his way around the Owlerton circuit while at the same time strengthening us on our travels. Mark became a Tiger sharing the No.7 reserve berth with Tai Woffinden after the team was redeclared in September. Mark has been a Sheffield asset for some years now and includes Weymouth, Hull, Swindon, Glasgow, Somerset, Arena Essex, Workington, Newport, Sittingbourne, Boston, King's Lynn, Peterborough and Eastbourne amongst the clubs he has represented. He finished top of Mildenhall's Conference League team averages in 2006. Ben made the transition to second-string for the 2005 campaign and continued to improve his average as he has done every season. 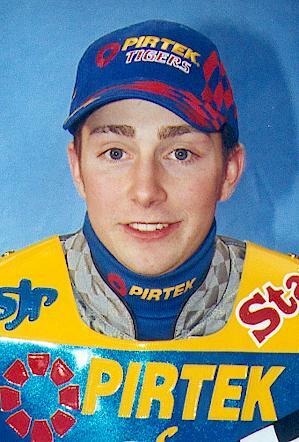 His form hasn't gone un noticed and Chris Van Strattan was happy to offer Ben the chance to double-up with Elite League Wolverhampton in 2006. Ben is optimistic that this will help him improve his form on the smaller circuits. 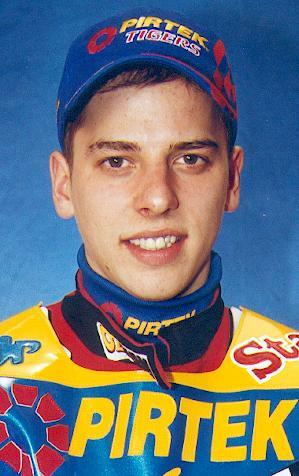 Tai is the son of former Sheffield and Scunthorpe favourite Rob Woffinden. 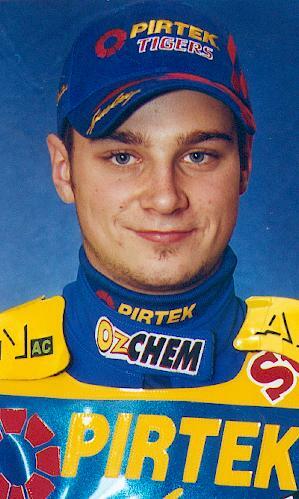 Born in this country he has lived in Australia from the age of three and is a product of the thriving Australian junior speedway set-up. He is the current Western Australian U16 champion, and came over to England to ride for Scunthorpe Scorpions in the Conference League. His progress from the reserve berth has been meteoric resulting in him being re graded and moved into the body of the team. Tai rode for the 'Tigers' against the Redcar 'Bears' on his sixteenth birthday, but alas it wasn't a fairy tale debut as he failed to score in his three outings. Tai broke Tigers fans hearts when he announced that he'd signed up for Elite League Wolverhampton.